At the moment, I am introducing my students to the practice of regular revision. 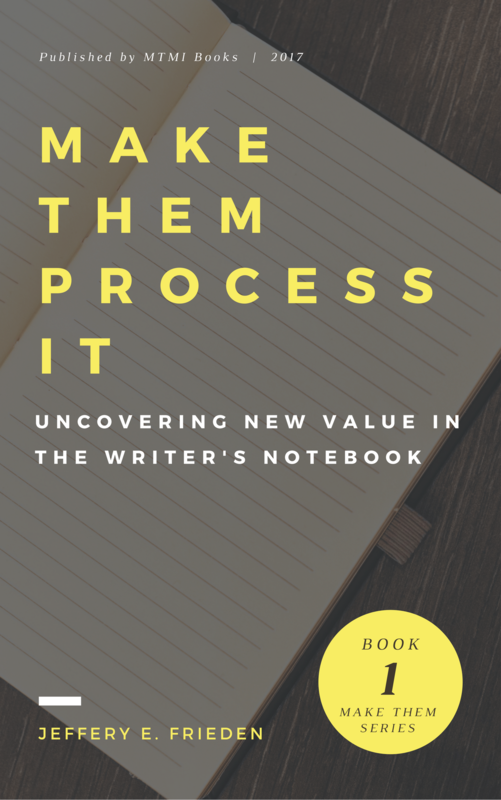 They do five pieces of low-stakes writing a week in their Writer’s Notebook. At key times, I have students choose an entry from their notebook they need revise into a better draft. I make every effort to do this three weeks in a row because it is important that my students, through low-stakes, low pressure writing (and revision), learn and experience that writing is a process. 1. My students choose one of their Writer’s Notebook entries for revision. 2. They apply the RADaR strategy in deciding what they will revise in their low-stakes writing (RADaR was developed by Kelly Gallagher and Jeff Anderson). Note: This step can easily apply to a piece notebook paper as it can to a typed up printout. Side Note . . . This mental practice, right here, is what gets students to see writing as a process. When I ask them to revise their writing, to make it better, they really give it an earnest effort. They really try to make a bad first draft into a better piece of writing. But when they are engaged in this mental practice, they are not paying attention to the process because they are inside of it. So, I have them pause and reflect on the process from the outside. I ask them to chase down their thinking in that moment when they were deciding to make small, or big, changes to their writing. Then I ask them to MAKE IT VISIBLE. Here comes the final step where they put their thought-process in writing. 4. After they have written their second draft, the students engage in metacognition and make their revision thought-process visible right on their second drafts. After the students get through three of these second drafts with metacognition, I will have them select one of these new drafts to move to publication. The published pieces are the ones that will go on the wall for prominent display, a testament for every student that writing is a process. What about you? How do you get your students to understand that writing is a process? Leave a comment below. Share this post with others looking for a way to get past their frustration in teaching their students to revise. I am excited to try this! Can’t wait to see how much my students grow as a result. Excellent ideas! I’m interested in this RADaR method! We use the Bucket system for the writing process, which I talk about in this post: https://jjburry.com/2017/08/23/writinggoals-class/. I’ll check it out later! RADaR is from Kelly Gallagher, in his book Write Like This.